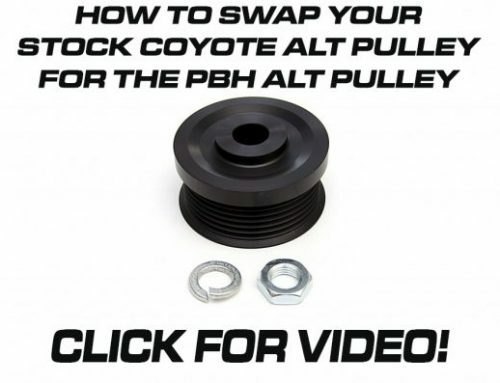 Our Coyote Swap Accessory Bracket lineup has been used by many on different builds. From Fox Mustangs, Airboats, Street Rods, Muscle Cars, Restomods, and on and on. 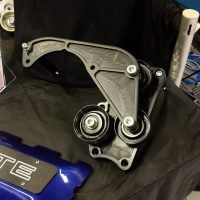 One of the reasons they have been so suited to these builds is that not only do we offer a Power Steering solution for Naturally Aspirated engines, but we specialize in getting you outfitted with the right parts for select supercharger options as well. 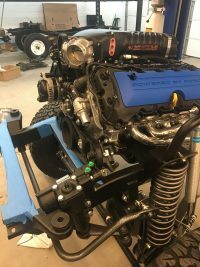 Superchargers from industry leaders like Roush Performance and VMP Performance have been part of our lineup for a few years now. 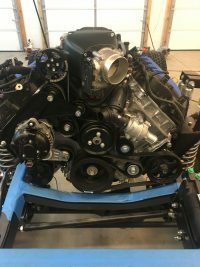 PBH is ready to expand and there was one Supercharger we kept getting asked about; Whipple. 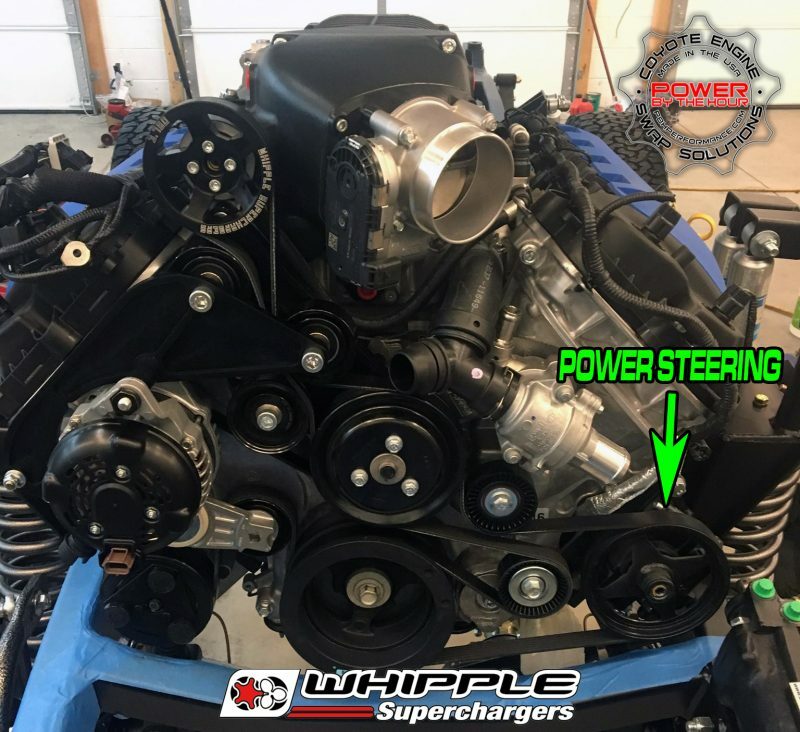 Now our bracket kit for the Roush will actually work with the first version of the Whipple supercharger offered in 2011-2012 which was a rear feed head unit with Roush belt drive. 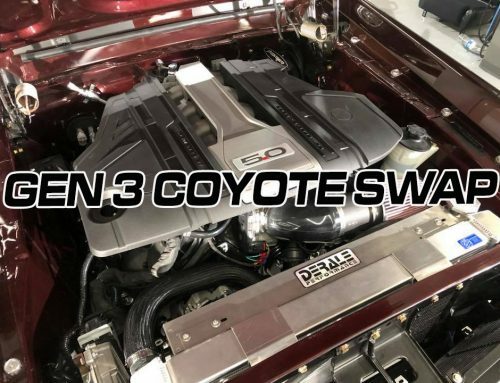 That changed though around 2014 when Whipple released their Front Feed 2.9L Supercharger for Coyote. Along with that, all new belt drive hence no power steering solution for those using the new SC in Coyote Engine Swaps. Fast forward to 2018 and we were looking at our product lineup and where we could improve. We made small changes to production and design to speed things up but found nowhere to really improve the current design. What that led to was we needed to tackle the Whipple. Jake Long, owner of PBH took it head on and in a matter of days we had a CAD drawing of the proposed new design. 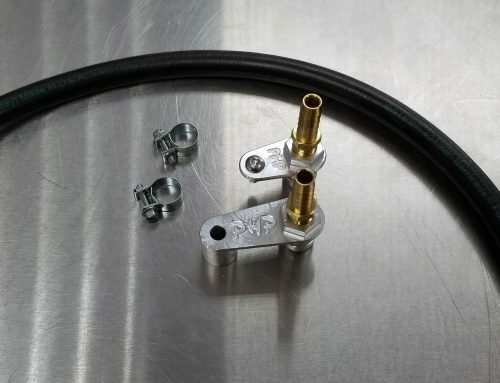 As we starting making a few pieces we liked what we saw and released a few to installers that were ready. 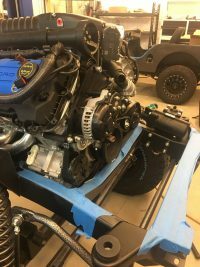 These photos are from a builder that is putting together some killer early year Bronco. What you see is the first complete test fit of the new kit to see if alignment is correct. 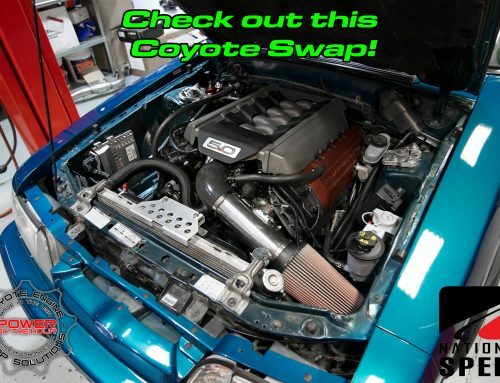 Results remain to be seen but we do not have much doubt this new kit will be a perfect fit for the builders out there looking to add a Whipple to their next Coyote powered ride. 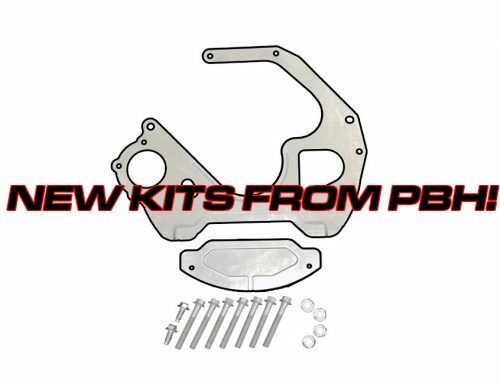 Release of the kit is slated for first quarter of 2019 and will be available on our site, through our dealers, and on our wholesale program.